It’s that time of year again! 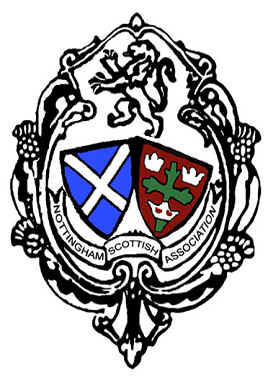 Our annual Nottingham Scottish Dinner and Ceilidh Dance will be held at the Nottingham Masonic Hall, Goldsmith Street on Saturday 24 November (7.00 for 7.30 pm). The Toast to Scotland will be given by Mrs Sylvia Hale and the Ceilidh will be led by Schuggie MacInnes. Sylvia is a long-standing member and is treasurer of the Association. As well as looking after our money, she is a very active member of the National Trust. Schuggie has built up a great reputation and a big following for the ceilidhs he runs. We can expect a great evening!